"My mom did not want to go on this cruise," Almarosa Tenorio's daughter Andrea Smith said in an interview on Tuesday. The family of a woman who was found dead on a Princess Cruises ship last week says she had reservations about going and was concerned something would happen. "My mom did not want to go on this cruise," Andrea Smith told ABC's "Good Morning America" on Tuesday about her mother, Almarosa Tenorio, who died on Nov. 13 aboard the Royal Princess as it was sailing in the Caribbean. "She knew something was going to happen," Smith said, saying Almarosa, 52, was "hesitant" about the trip. A spokesperson for Princess Cruises told NBC News last week the ship had left Fort Lauderdale, Florida, on Nov. 9 and was traveling to Aruba. 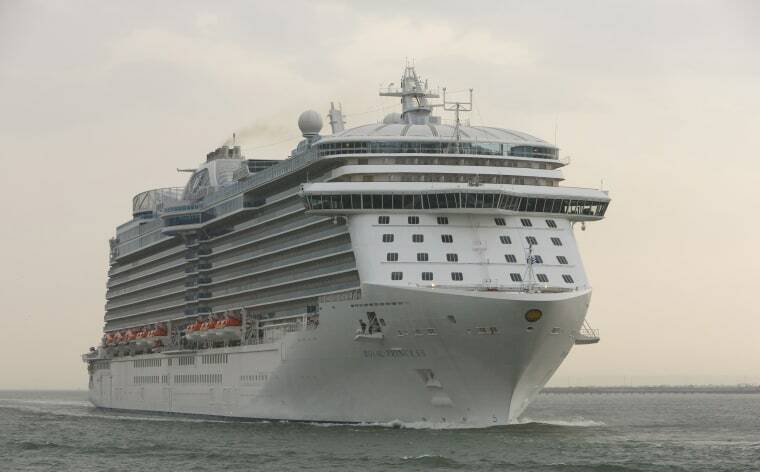 The ship, named the Royal Princess, arrived back in Florida over the weekend. Timothy Tenorio, Almarosa's son, said the night before his mom left for the cruise that she hugged him "for a good five minutes" and told him that might be the last hug he gets from her. "I can’t focus. It's like my rock is gone. It's just very painful for me. I'm trying to do the best I can. It's just very hard for me," he said. "I'm trying to stay strong, however, it feels like my strong isn't all the way there anymore." Almarosa was traveling on the cruise with her husband, Leo Tenorio. Smith told "Good Morning America" that Leo said the cruise was a chance for him and Almarosa to work on their relationship. Following Almarosa's death, Leo got off the ship in Aruba and was cooperating with the investigation, Princess Cruises said in a statement last week. It was not clear if he has since traveled back to United States. Almarosa's cause of death has not been released.